At the beginning of the month, we were greeted with a mixture of tears of sorrow and tears of joy as Milk Company Toys “Tiny Fortune” series are all set for the anticipated release! like we said countless times over the past few months, Milk Company Toys made our hearts warm with their “Inari” prototype. From the guys who brought you the STONED DOOOG and IRON DARUMA. MORE incoming cuteness from Milk Company Toys! over the past couple of weeks, new images have surfaced with new characters and just as sweet as Inari, we’ve already fallen in love with the silhouettes, especially of Inari. 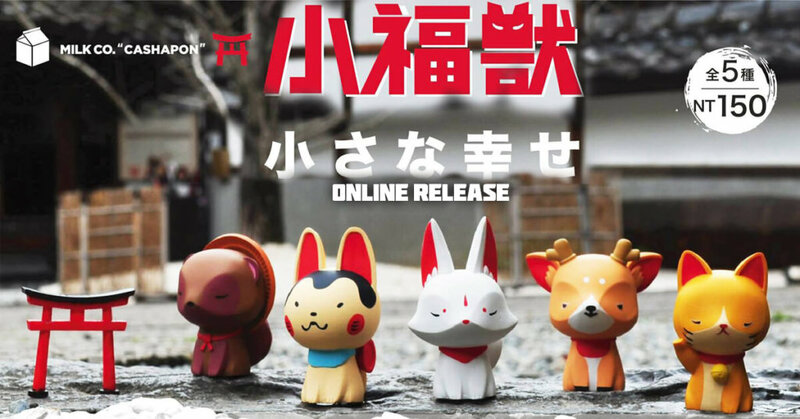 Milk Company Toys gave us a closer look at 小福獸 The Tiny Fortune series with the inclusion of the new Deer that’s been spotted. over the weekend the series made its debut at STS 2019 and with STS over and done with, Milk Company Toys “Tiny Fortune” series is now ready for pre-order. Lovely flow and lovin the expression, we can’t wait to see the full turn around of Inari. https://milkcompanytoyz.blogspot.com/ for more vinyl goodness. Which ones do you like the most? answers in the comment section below.